Benefits is a complex arena in which to operate. Regulations change, technology evolves, costs shift, and what employees want today may be different than what they need tomorrow. That’s why it’s so important for HR pros to stay aware and ahead of the curve. On day one of the conference, leadership expert Cy Wakeman shared her insights about the impact of drama in the workplace, both for individuals and for business. It’s significant: She estimates that 816 hours per person, per year are wasted on drama, a huge drain on productivity and engagement. Her approach is both straightforward and somewhat radical, turning traditional management and leadership techniques on their head. 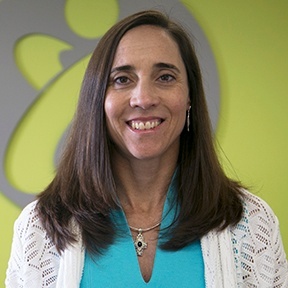 Instead of an open-door policy that encourages venting and drama, she advocates for leadership that helps employees eliminate emotional waste with better mental processes that manage energy, not performance. Instead of using sympathy to reinforce negativity, she suggests applying an empathetic approach. Empathy is something Businessolver is very invested in. As Rae Shanahan, Chief Strategy Officer, shared, empathy is a cornerstone of Businessolver’s way of doing business. It’s also a focus of an ongoing, annual study, the State of Workplace Empathy, which Adam Waytz from the Kellogg School of Business at Northwestern has helped support. During a session with Rae, Adam talked about his vision for reimagining the workplace from an empathetic point-of-view, including human-centric design. As interest in the importance of empathy as a workplace value grows, Businessolver continues to invest in helping organizations understand why it’s vital to success and to provide leadership and insight. Another point Adam stressed in the empathetic workplace is the concept of prosocial motivation. This is the concept of working on behalf of another person. He cited examples where people are more invested in a work goal when they can identify an actual person who benefits from the effort. For example, when people meet the recipient for a scholarship fund they tend to raise more money on their behalf. This also applies to teams who have been given bonuses specifically to spend on teammates. In this scenario, having resources to allocate to others has helped support empathetic teams. There are also other trends to watch besides empathy in the workplace, such as the issues associated with Baby Boomers retiring in great numbers over the next few years. Businessolver’s CEO Jon Shanahan talked about the need for organizations to be prepared for this exodus such as supporting transition with flexible and part-time work and mentoring programs as part of a considered retiree strategy. At the same time that Boomers are leaving the workforce, Millennials are reaching some of those milestone life events that need support from an HR perspective. They need different benefits than their counterparts in other generations currently in the workforce, and more individualized strategies might be the way to keep them engaged. 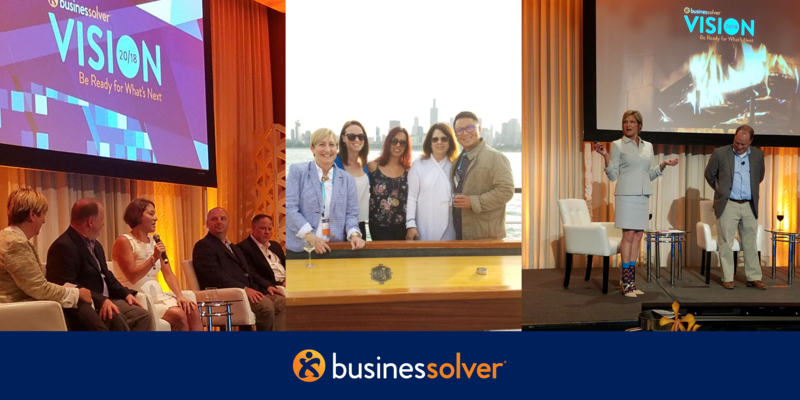 Several Businessolver clients shared their insights about meeting the needs of multigenerational workforces, including some techniques for communicating important benefits messages and providing benefits and financial education. They also talked about their wellness and wellbeing initiatives for different workforces, which include geographically dispersed employees, part-time employees, and around-the-clock employees. Regardless of the uniqueness of its employee population, every organization is subject to laws and regulations, and a compliance session helped educate attendees about some new developments to be aware of. One of the main topics of the compliance session was a new law in California that allows residents to have a third gender designation on a driver’s license or birth certificate. While on the face of it, this has little or nothing to do with benefits, according to Bruce Gillis, Businessolver's compliance expert, the new law has downstream implications. Businessolver’s benefits technology platform can accept more than two genders, while insurance carriers may not be able to quite so soon. And, if they do, what happens to gender as a basis for claims adjudication? As the industry works out the details, Gillis advises that all employers consider their position and have a clear set of speaking points on the non-binary gender questions they are inevitably going to get. Both he and panelist Ben Conley, attorney, also discussed B Penalties Notices related to the ACA individual mandates that organizations are starting to see. These are related to active enforcement by the IRS of the employer mandate, and should be dealt with quickly because of the tight 30-calendar-day turnaround time to respond. Employers who receive a notice should contact their benefits administration partner right away to allow ample time for any necessary research that will mitigate the risk of penalties. With so many puzzle pieces to fit together, it’s imperative for HR pros and benefits admins to adapt, shift, and make appropriate updates to their policies in order to successfully complete the employee benefits puzzle. We hope that our Vision 20/18 tour was helpful and informative to give HR professionals the information they need to succeed.